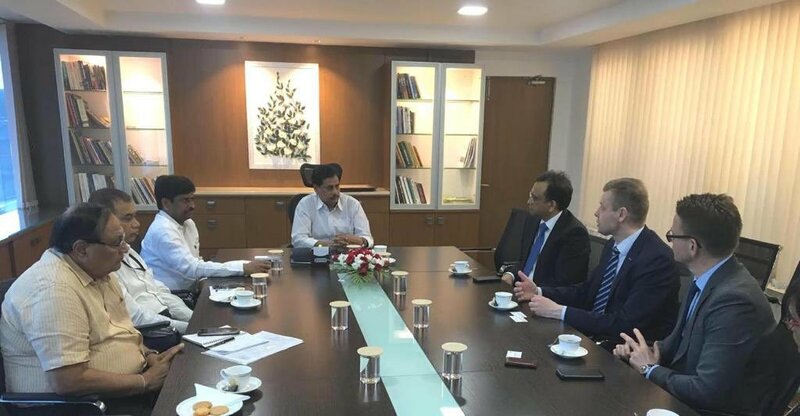 Hyderabad: A delegation of Fortum, a Finnish government-owned company, led by its senior vice-president Risto Penttinen and executive vice-president Mikael Ronnblad, called on Hyderabad Metro Rail Limited (HMRL) Managing Director N.V.S. Reddy at Metro Rail Bhavan on Thursday to discuss mutual collaboration between Fortum and HMRL..
Fortum has entered into an agreement with the HMRL to establish electric vehicle charging network at the metro stations. Recently, the firm entered the Indian market and has so far established 40 e-vehicle charging points for 4-wheelers, of which half of them are in Hyderabad, mostly at HMRL stations. Already, Fortum has established e-vehicle charging points at Begumpet, Kukatpally, KPHB, Moosapet, Uppal, Tarnaka, Mettuguda and Habsiguda Metro stations, and the service is free of cost presently. Once the tariff rates are applicable, the cost per kilometre of travel would be around Rs. 2.
ndertaking, has also established 3 charging points at Miyapur and Balanagar Metro stations. 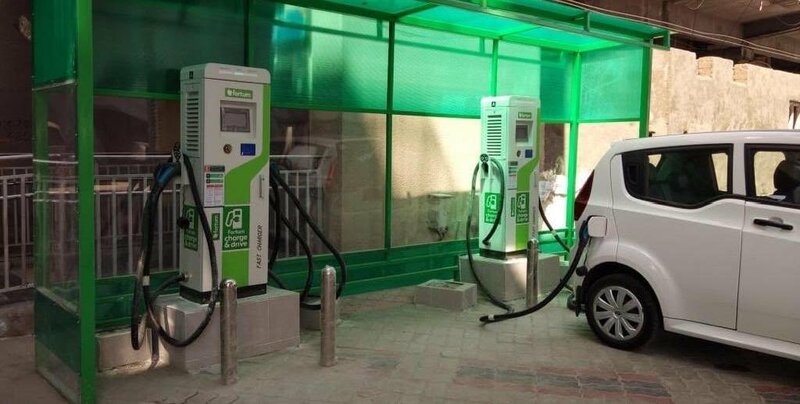 Reddy said, other companies are also coming forward to establish e-vehicle charging points at metro stations for electric bikes and auto-rickshaws. He made a presentation to the Fortum delegation on the unique features and the engineering and financial innovation of Hyderabad Metro Rail project. The HMR has a broader goal of promoting Hyderabad as a people-friendly green city with less pollution and better air quality, Reddy informed the delegation. The delegation expressed it’s readiness to establish more e-vehicle charging points at metro stations. Rail Analysis insights: Fortum has entered into an agreement with the HMRL to establish electric vehicle charging network at the metro stations.